Tag Recommendations for Content: Ready to Filter Noise? In a recent post, I suggested that the semantic web might hold a solution for managing noise in social media. The semantic web can auto-generate tags for content, and these tags can be used to filter out subjects you don’t want to see. As a follow-up, I wanted to see how four different services perform in terms of recommending tags for different content. del.icio.us: Popular tags are what other people have tagged this page as, and recommended tags are a combination of tags you have already used and tags that other people have used. Faviki: Allows you to tag webpages you want to remember with Wikipedia terms. Twine and Diigo take the initiaitve, and apply tags based on analyzing the content. del.icio.us and Faviki follow a crowdsourced approach, leveraging the previous tag work of members to provide recommendations. Note that Faviki just opened its public beta. So it suffers from a lack of activity around content thus far. That will be noticed in the following analysis. The tag recommendations are below. Headline on the results? Recommendations appear to be a work in progress. First, the New York Times iPhone article. Twine wins. Handily. At Diigo gave it a shot, but the nytimes tags really miss the mark. del.icio.us and Faviki weren’t even in the game. Next, Robert Seidman’s post about Tivo. Twine comes up with several good tags. Diigo has something relevant. And again, del.icio.us and Faviki weren’t even in the game. Now we get to the trick article, Michael Arrington’s no text blog entry Twitter! The table turn here. Twine comes up empty for the post. Based on the post’s presence on Techmeme and the 400+ comments on the blog post, a lot of people apparently bookmarked this post. This gives del.icio.us and Faviki something to work with, as seen below. And Diigo offers the single tag of…twitter! Switching gears, this is a running-related article covering one of the top athletes in the world, Paula Radcliffe. Twine comes up the best here. Diigo manages “bombshell”…nice. del.icio.us and Faviki come up empty, presumably because no users bookmarked this article. And none of them could come up with tags of “running” or “marathon”. I figured I’d run one of my own blog posts through this test. The post has been saved to del.icio.us a few times, so I figured there’d be something to work with there. Strangely, Twine comes up empty. Faviki…nuthin’. Finally, I threw some science at the services. This article says that antioxidants don’t actually deliver what is promised. Twine comes up with a lot of tags, but misses the word “antioxidants”. Diigo only gets antioxidant. And someone must have bookmarked the article on del.icio.us, because it has a tag. Faviki…nada. Obviously my sample size isn’t statistically relevant, but I see that pattern in the above results. The other thing to note is that these services do a really great job with auto-generating tags. For instance, the antioxidant article has 685 words. Both Twine and Diigo were able to come up with only what’s relevant out of all those words. With del.icio.us and Faviki, if someone else hasn’t previously tagged the content, they don’t generate tags. Crowdsourced tagging – free form on del.icio.us, structured per Wikipedia on Faviki – still has a lot of value though. Nothing like human eyes assessing what an article is about. Faviki will get better with time and activity. Note that both Twine and Diigo allow manually entered tags as well, getting the best of both auto-generated and human-generated. When it comes to using tags as a way to filter noise in social media, both system- and human-generated tags will be needed. System-generated tags ensures some level of tagging for most new content. This is important in an app like FriendFeed, where new content is constantly streaming in. 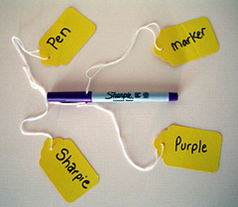 Human-generated tags pick up where the system leaves off. In the Paula Radcliffe example above, I’d expect people to use common sense tags like “running” and “marathon”. The results of this simple test show the promise of tagging, and where the work lies ahead to create a robust semantic tagging system that could be used for noise control.